Forestry statistics covers data on area, forest exploitation, growing and nurturing of forests, forest damages, machinery, energy consumption and hunting. Data are gathered from one quarter and several annual reports based on accounting and other records. Reports on public forest and privet sector are provided from public forestry enterprise PE “Makedonski Sumi” and national parks. 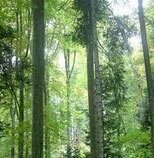 The term afforestation represents an operation of regenerating and extending forests. It is performed by planting seedlings of forest tree species or by sowing seed material of forest tree species in or outside forests (on forest or other land). Gross volume covers harvested logs (broad-leaved and coniferous), fuel wood, all produced forest assortments (roundwood, industrial wood etc.) and the total residue.